THIS COMPETITION IS NOW CLOSED. THE WINNER IS: Amanda Louise Milton. CONGRATULATIONS, I WILL BE IN TOUCH WITH YOU TO ARRANGE DELIVERY OF YOUR PRIZE. I’ve got some exciting news that I’ve been bursting to tell you for the last few weeks. I’ve been busy squirreling away at a *brand new vintage project*! My new obsession is called VintageGazer. It’s a visual resource where I hope to share the very best of vintage on the internet. I’d love you to submit some of your beautiful photos to VintageGazer. Whether you’re a blogger, a vintage store, or somebody with a drawer full of old family photographs I’d love to help share your vintage with the rest of the world! 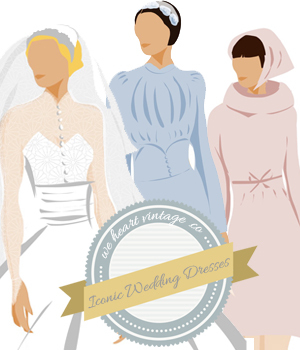 For the love of all things vintage! Also if you’re a blogger or store it should drive lots of traffic your way! By submitting your photos to VintageGazer anyone who clicks on your photo will open up that page on your blog or site. Also, the more people who ‘love’ your photos, the more people will see them. There are already some amazing vintage photos on http://VintageGazer.com – go take a look, and don’t forget to submit your own images too! So, how do I submit content? Click here: http://vintagegazer.com/submit/, create an account (it’s free and very quick to do) and then get submitting, I can’t WAIT to see what you come up with! I’d love to know your thoughts on this, so if you have any feedback or questions please get in touch! I’ve just set up the Facebook, Pinterest and Twitter pages for VintageGazer and so I don’t have any followers yet (*sob*), so to help me get some followers (and thanks to the lovely people over at SteelOrchids.com) I’ve got this beautiful designer necklace to give away to one lucky person! Gold bow pendant on long chain measuring 78-83cm. Give your look a playful finish with this feminine bow necklace. Wear it to compliment a pretty, casual outfit. Material: Brass with gold plating. This jewellery is presented in a pretty Fiorelli organza bag. Simply ‘like’ the VintageGazer Facebook page, and post a comment on my wall saying that you’ve done it. Of course, if you’d like to follow VintageGazer on Pinterest or Twitter , and I’d also love to know what you think of the site! I won’t share, give away or sell ANY of your contact details, I will only contact the winner to organize delivery of the prize. The winner will be contacted about their prize, if they have not claimed their prize within 3 months of it being announced we are under no obligation to still offer the prize. hi i follow on facebook, pinterest and twitter and i’ve got to say i love the pins that i’m seeing! great job!